About Wet & Wild everyone saying a lot of good but before it was hard get this brand in Uk until recently everything has changed since appeared on Beauty Bay. They don' have too much assortment and without new collection, unfortunately but it's always something. It's a cruelty free brand based in Los Angeles which cosmetics are at very affordable prices. 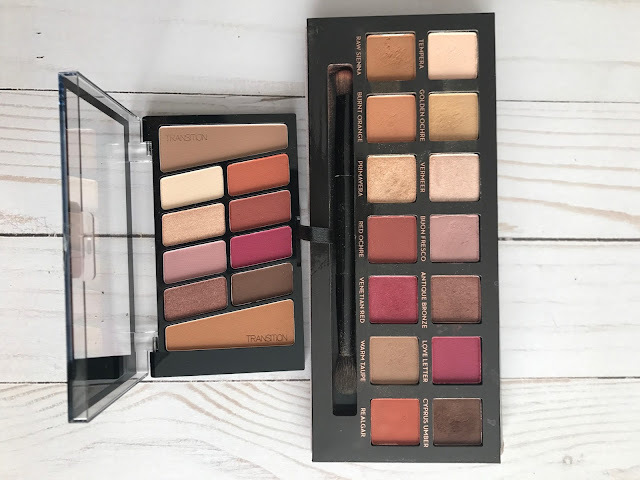 I heard about this brand for the first time when their Rose in the Air palette were hailed as a dupe for Anastasia Beverly Hills Modern renaissance and actually compare pictures on the internet seems similar. Beauty bay had special offer on Black Friday and you could get cosmetics Wet n Wild -25% off, so it was the perfect moment to finally try something. For a long time I wondered what to buy until a beautiful highlighter with a unique color caught my attention. If you have something to recommend from this brand, let me know, I am very curious about your suggestions and I will be happy to maybe try something new. I've heard a lot of good about Wet n Wild highlighters and especially from the holographic limited edition which unfortunately was not available in Uk just as the other limited series. The packaging reminds me very much of Kobo and Collection, is such a cheap plastic but however handy and durable. What distinguishes highlighters of this brand is a beautiful patterns pressed on the product. On my you can see seems to me a tree which looks really impressive. It has a beautiful shade of peach gold but will definitely be too dark for a more pale complexion. I have a lot of yellow pigment in my skin that's why even when I'm mega pale as now, I'm not white or earthy, so this shade still looks good but definitely if I was a bit darker it would look even better. The producer describes this shade as a peachy pink but I don't see pink tone at all. I really like peach blushes or eye shadows like Makeup Geek In The Spotlight, so always when some highlighter is defined as a peach by the manufacturer immediately catch my attention and I want to buy it:D.
As for the effect that gives, I have to admit that I am a little disappointed because is not such an intense buuum on the cheeks only a rather subtle glow. I tried to put it on my eyelids as a eyeshadow but was also not so bright, disappeared among other shadows and didn't look like I wanted. This is not a bad product, but I have heard so much good that I feels a bit disappointed. I will still use it, especially in the summer but for example peach shade from Revolution Face Quad or Abh Aurora palette working much better for me. Costs £3.75 so it's really affordable, but doesn't give me enough glow. Do you like the cosmetics of this brand? Those products look like so much fun. Lovely post, thanks for sharing. Im glad that you like it:* Regards!